As a professor, I am often asked to give advice to students who are going into the petroleum business so I came up with 31 laws that I believe all geologists need to keep in mind. I hope they make young geologists think. 1. 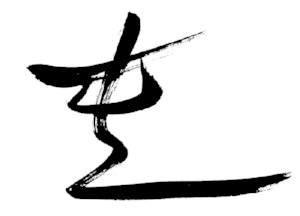 I generally start all my classes with the Chinese symbol for chaos and the saying: Before there is understanding there must be chaos. I tell students to fully embrace this concept because they must sift through a lot of material that at first they find confusing. If they are willing to embrace this chaotic mess, it slowly starts to make sense and they will be able to master more abstract aspects of the material. It takes hard work, and the only way you can accomplish this is if you sit down and work through the material until it isn’t overwhelming any longer. Because of this, I end my classes with the same Chinese symbol but now state Chaos: Where brilliant dreams are born. 2. Geology is simple: You have a stratigraphic framework, the mineralogy and paleontology of the stratigraphic framework, and the structural deformation of the stratigraphic framework. Everything must be related to the stratigraphic framework or it has limited value. 3. You can’t model nature. There are just too many variables. 4. You can make a model based on your observations. Never let a model dictate your observations. 5. There are no unique indicators in geology. As soon as you adopt the ‘this means that’ philosophy you have lost the war. 6. The best geologists are the ones who have seen the most rocks. In geology there is no substitute for experience, so seek it out. When you first start your career it’s up to you to find your own mentors, then keep your mouth shut and your mind open. 7. Geology is not an exact science — it is an interpretive science. Do not be afraid to make an interpretation. Remember though that interpretations evolve and change as more data comes to the table; do not be afraid to adapt to those changes. 8. Just because it’s published does not mean that it’s right. Pretty diagrams do not equate to good science. 9. The only facies models that have ever worked are turbidites and the point bar because they can be interpreted hydrodynamically. 10. Although the rock record is static it is representative of dynamic processes. It is our job to unravel those processes. We see a mudrock as a static object and give it one interpretation, but it may represent a dynamic history. The mudrock may have been originally deposited in a salt marsh where it was buried and dewatered then erosionally exhumed in the beach where it is modified, buried, and partially lithified. It may then again be erosionally exhumed as relict sediment offshore. We need to be able to interpret this complex history. 11. The rock record is more gap than record. 12. Stratigraphy is synergistic and it incorporates all aspects of geology. This is especially true when doing subsurface geology. Petroleum geologists must be eclectic and be able to understand and integrate a wide variety of datasets. 13. Every day in geological time is unique unto itself because the position of the continents is slightly different and will never be exactly the same again. 14. The rare event is more commonly preserved; the rock record is a series of catastrophes. This is especially true when dealing with clastic systems. 15. The deliberate search for the subtle stratigraphic trap requires geological expertise. At exploration scale, many large stratigraphic reservoirs can be overlooked on seismic and the geologist must turn to core for reliable interpretations. 16. A surface is not a surface unless it can be mapped. This list continues in Pemberton’s laws of stratigraphy, part 2. S George Pemberton received his PhD from McMaster University in 1979. He is currently a distinguished University Professor and the C R Stelck Chair in petroleum geology in the Department of Earth and Atmospheric Sciences at the University of Alberta, Canada. The main thrust of his research pertains to the application of ichnology to petroleum exploration and exploitation. His work has been recognized by a number of awards. He was elected a Fellow of the Royal Society of Canada in 2001; Canada Research Chair 2002–09 in Petroleum Geology; and honorary membership in CSPG in 2010. In 2013 he was the recipient of the Logan Medal from the Geological Association of Canada. He has won 15 best-paper or best-presentation awards, has published over 225 papers, and edited or co-edited seven books.